Barnsley’s pre-season campaign got underway with a European fixture against Club Brugge of Belgium. 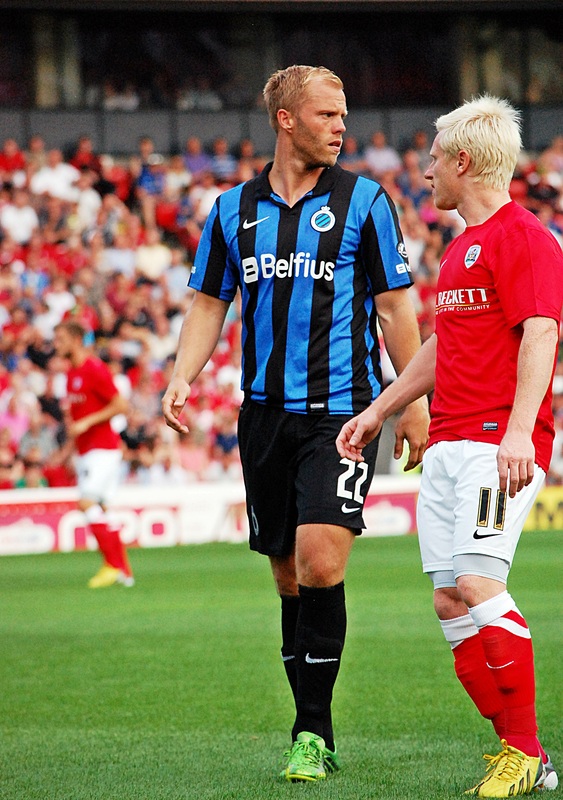 Eidur Gudjohnsen, the former Chelsea and Bolton Wanderers Icelandic international lined up for Club Brugge. Club Brugge were in charge of this game for the whole 90 minutes, their controlled passing from the back through midfield was at times a delight to watch. Despite Barnsley having some good periods of play in the game, you always felt that Club Brugge could step up to another level if required, to prove that fact they did just that after Chris Dagnall’s tenth minute goal. Dagnall latched onto a through ball from midfield, before hitting an unstoppable shot from the right hand corner of the Brugge box. The ball went across the area and passed a helpless Matthew Ryan in the Brugge goal, before hitting the top left hand corner of the net. Straight from the kick-off the Belgians’ reply was immediate, Victor Vazquez found space on the left and curled his shot into the bottom right hand corner passed a despairing Ben Alnwick in the Barnsley Goal. Club Brugge came close to adding a second goal on thirty eight minutes, when Maxime Lestienne saw his shot hit the Barnsley post with Ben Alnwick well beaten. The second half started with Barnsley having three great chances to take the lead. The first fell to Chris Dagnall, after picking up a loose ball on the left wing, Dagnall ran at the Brugge defence before firing a shot across goal that just went wide. The second chance fell to David Perkins, following a quick free-kick, Perkins shot from 25 yards which was tipped over the bar by Matthew Ryan in the Brugge goal. Stephen Dawson had the third chance, following a run down the right wing he cut into the area and fired a shoot straight at Matthew Ryan. On fifty-seven minutes Club Brugge broke through the Barnsley defence with an excellent through ball to Wang Shangyuan. 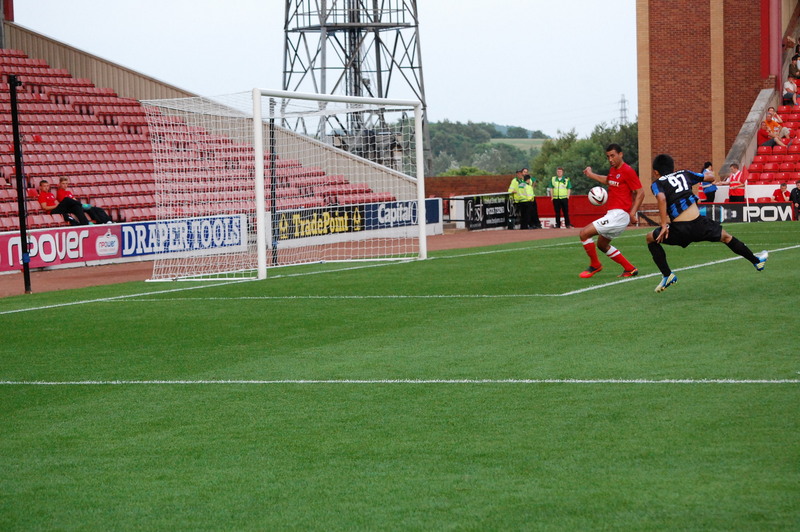 Shangyuan raced into the Barnsley area, before rounding Luke Steele only to see his shot cleared by Lewin Nyatanga. Chris Dagnall then had a goal disallowed on 60 minutes, when he tapped in a rebound from five yards, only to see the linesmen flag for off-side. On sixty-three minutes the game ended as a contest, when Barnsley made ten changes, including four of the youth team for experience. One of the youngsters Paul Digby did have a fierce shot stopped by a team mate, which looked destined for the top corner on seventy-four minutes.